We normally find tasting Giscours at this stage a tad underwhelming to be honest, tending to buy large quantities (far more expensively I may add) when it’s singing, four to six years after the vintage. Not this year!!! Really generous without being pushed, intense and concentrated with an amazingly long finish, this could easily be their greatest vintage, and it actually surpasses the brilliant 2005. Fantastic. The Wine Advocate - The 2009 Giscours has a medium to deep garnet color and delivers evolved prunes, baked blackberries and fruitcake scents with an earthy, dried herbs and potpourri undercurrent plus a waft of sweaty leather. The medium to full-bodied palate has a rugged frame of chewy tannins and a firm grip on the somewhat rustic finish. Jancis - Very dark and lustrous. Odd herbal note. Very sweet start on the palate. Rather drying tannins but some Margaux polish and not too hot until the very end. A little drying and exaggerated on the finish. Wine Spectator - Subtle and pretty on the nose, with blueberry, blackberry and hints of flowers. Full and very fine, showing a beautiful texture of polished tannins. Wonderfully long and balanced. 53 percent Cabernet Sauvignon, 7 percent Cabernet Franc, and the rest is Merlot. Parker - The finest Giscours in my professional career (I said the same thing from barrel), this dense purple wine has a stunning nose of burning embers, charcoal, creme de cassis, new saddle leather and damp, forest floor notes. It is full-bodied, with exceptionally sweet, well-integrated tannins and a multi-dimensional, almost skyscraper-like mid-palate and finish. With its low acidity and remarkable substance and depth, this gorgeous wine should age beautifully for 20-30 years. Decanter - Fine black red, very expressive black fruits with the elegant lift from Cabernet, fine density of fruit, very good natural middle sweetness and lots of depth and vineyard character, a very good wine. 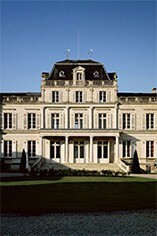 Château Giscours is one of the largest Margaux properties and now producing wine worthy of its 3ème Cru Classé status. It is located in the commune of Labarde and has over 80 hectares of vineyards. Giscours was in a dire state when it was acquired by Nicholas Tari in 1952. He invested heavily and the quality of the wine improved beyond recognition. In 1995 he sold up the property to Dutch businessman Eric Albada Jelgersma. 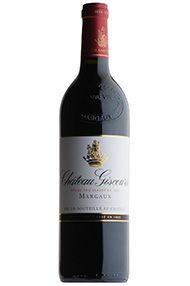 Giscours's wine is typically a blend of 65% Cabernet Sauvignon, 30% Merlot and 5% Cabernet Franc. The grapes are fermented in temperature-controlled tanks and the wine is then aged in small oak barrels (30-40% new) for 18 months. Giscours produces richly aromatic wines that are surprisingly powerful on the palate, displaying ripe, black fruit with hints of cedar and new oak.